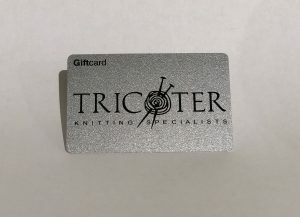 The gift of a Tricoter Gift Card is something knitters of all skills would enjoy. 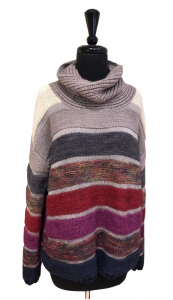 They are good on all merchandise including notions, classes and workshops. 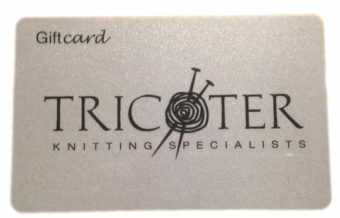 Tricoter Gift Cards never expire and can be used on all store merchandise as well as classes and workshops. Free US Shipping and In-Store Pick Up Available. Please indicate if you would like your purchase gift wrapped at check-out. To purchase a downloadable / printable gift card click here: Digital E-Delivery Gift Card.